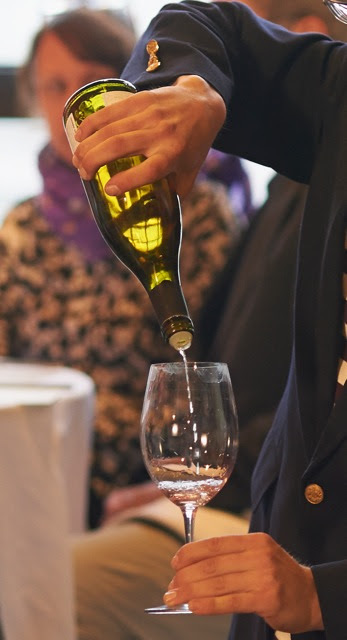 Wine Traditions - Events & News - Our Friends @ Rosemont Markets in Portland, Maine have invited us to participate in their 10th anniversary celebration tasting. This Friday, December 12th, tickets still available! We do hope everyone who took advantage of our Thanksgiving wine offer enjoyed (is enjoying?) those wines, and that you all had a wonderful holiday! As you may have heard, the holiday just past is not the only one that takes place around now, and we're gearing up for thrilling times ahead with a very special event next week, plus another wine Six Pack offer and excellent in-store tastings. Spinning off the success of our Thanksgiving Six Pack, we'll offer a terrific Holiday Six Pack offer via email next week, fine-tuned for end-of-year dining and gifting. Also, keepDecember 18 and 19 free in your calendars, for in-store tastings at our Brighton Avenue and Yarmouth stores. On Friday, December 12, 5:30-7:30pm, it's time for Drink Like a Pro, our Holiday Wine Spectacular. This will be an event unlike any other you've attended! To celebrate Rosemont Market's tenth anniversary (yeah, little Rosie's really growing up! ), we're going back to the womb, as it were, to hold our greatest wine tasting ever at the site of the original Rosemont tastings: the back room of our bakery at 559 Brighton Avenue! Obviously, given the size of the space, we need to limit the number of guests who can attend. And obviously, we hope every single Rosemont Wine Club member who wants to be there (and even those who don't?) will be able to come. That's why we're telling you about it right now -- a couple of days before the word goes out to the public and the price goes up. You really, honestly, truly should reserve your spots right freakin' now. Tickets are only $15, and for that pittance you'll get to taste some of the most extraordinary wines we know of. On Monday, the ticket price goes up to $20. Why do we say, confidently, that this will be our greatest tasting ever? Because we will pour 25 truly extraordinary wines that rarely if ever get opened for the public -- big, fancy wines, suitable for the most demanding gift recipients, the snazziest parties and the snootiest cellars. Bordeaux, Burgundy, Brunello, Napa, Champagne, Barbaresco, Amarone, Madeira and Port are just some of the standout regions and profiles. And for the first time ever, we will bring together under one roof some of our dearest friends in wine, guys/gals who have been with us from the very beginning, who have the love, who know a lot and can't wait to share with you. Why do we call it Drink Like a Pro? Because we're setting up the tasting the way professional wine tastings go: multiple tables, lots of info, lots of opportunities to ask our guides about the wines. There will be separate tables devoted to France, Italy, California and dessert. This isn't like our regular tastings, where you get to taste four to six wines and then move on, son, you're in my way. NO. Drink Like a Pro will go deep. More information and tickets are available here. We do look forward to seeing you at the bakery on Friday, December 12.